62% of Geneva citizens want to resign from the National Council. This continues to fight for the office "Shawinski" and reputation. More than 62 out of 100 Genevaers would be appropriate if the National Council, largely dismissed and considered by the FDP, would resign. This is evidenced by a survey published today on behalf of the French-speaking Swiss RTS, Le Temps and Radio Lac. "This is a sign," Maudet admits in the SRF program "Shawinski". But he also wondered what they were discussing when they formed their own opinion: "On the media, on social networks?" When rumors and slander arise, we have a problem in politics. For the 40-year-old, it is clear: "People must rely on me when they form their own opinion. To my statements, to my will, which I have proved. "In the era of the Internet, he also wanted to fight the rumors and defamation he ultimately received:" Then we have a problem in politics. It's not just for me. He also wanted to face the "lies" that spread to him with his performance on "Shawinski". However, Maudet himself is accused of not always keeping him so accurate with the truth. In the "Shawin", the former high leaflet of Swiss liberalism is self-critical: "I made mistakes. I should have abandoned my journey to Abu Dhabi." But he wanted to work hard to strengthen relations between his canton and Emirates. Since this argument corresponds to his previous statement that this is a private trip, he has forwarded Shawinski. At first, he assumed he would travel from his pocket, so Maudet: "I do not." In this regard, if I said something wrong, his "main mistake": "Geneva state, but no trip to Rappen has tasted. In the spring of 2018 Maudet was re-elected with a brilliant result as a consultant to the Geneva government. A fateful luxury trip to Abu Dhabi, a miserable customer donation and a fake story, shook the confidence in him. The prosecutor investigates Maudet for accepting duties at work, a criminal offense. This is the presumption of innocence. 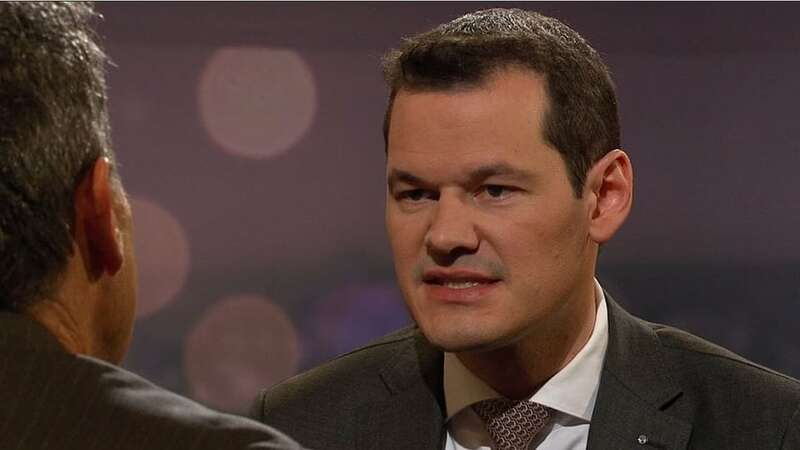 Although the national and cantonal FDP has applied for a resignation, Pierre Maudet wants to remain in the position: "Only one person decides whether I will resign or not – I," he said in a previous statement. Now Maudet wants to fight for office and reputation. He did not always have the opportunity to explain himself, complains the FDP Council of State: "Now I want to convince people about myself." Now he wants to take this opportunity in front of the German-Swiss audience. Maudet quietly chooses the sounds that describe the political storm that broke into him: "For the last 20 years, I have been very involved in politics, with all the energy. Today I have problems.